Compassion and business haven't historically been uttered in the same sentence very often. One of the most touching and striking examples of this comes from an industry that is often referred to as a "commodity industry," commercial aviation. But even in a commodity industry - perhaps especially in such industries - compassion can be a powerful differentiator. In January of 2011, near Denver, Colorado, a two-year-old boy named Caden was beaten by his mother's live-in boyfriend. His injuries were so severe that he almost immediately went into a coma. Mark Dickinson, Caden's grandfather, was in Los Angeles on business when he received the tragic news. Mr. Dickinson's wife immediately arranged for him to fly to Denver, with a connection in Tuscon, Arizona. She informed the carrier, Southwest Airlines, of the circumstances and let them know that her husband would be rushing to catch his flight in Los Angeles because, if he missed his connection, he wouldn't be able to see his grandson for the last time before the child was taken off of life support. Mr. Dickinson's anxiety escalated significantly as the reality began to sink in that he might miss his flight, along with the chance to see his grandson for the last time. He told security about his situation and asked if he could get to the front. They told him he would have to wait just like everyone else. To his surprise, though, he was met at the gate by both the ticketing agent and the pilot. The ticketing agent asked, "Are you Mark?" "We held the plane for you and we're so sorry about the loss of your grandson." Although this may seem like a small gesture, as James F. Parker points out in his book Do The Right Thing, Southwest has mastered the art of turning airplanes around quickly. On average, they turn their planes around 15 to 20 minutes faster than their competitors--something that saves Southwest approximately $3 billion dollars per year. According to an article on Dailymail.com, as the pilot escorted Mr. Dickinson down the jetway, Mr. Dickinson said, "I can't thank you enough for this." The pilot replied, "They can't go anywhere without me and I wasn't going anywhere without you. Now relax. We'll get you there. And, again, I'm so sorry." When asked how the leaders at Southwest Airlines felt about the pilot's decision in an interview with AOL Travel News, Southwest spokeswoman Marilee McInnis stated that, "We fully support what our captain did. Customer service is important and we're not at all surprised an action like this would take place." The leaders at Southwest weren't upset with the pilot for holding the plane. They were proud of him--as they should be. 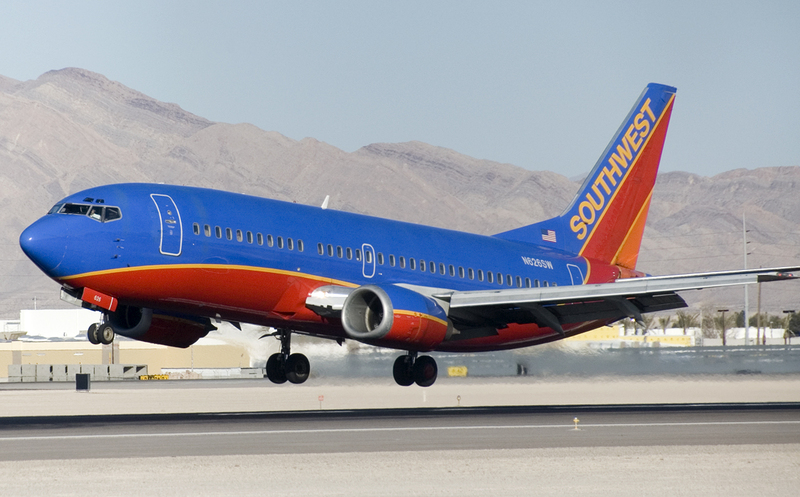 Southwest is known as "the airline that love built." And, because the company's leaders have effectively passed on their values and empowered employees to make important decisions on the spot, they helped ensure that the pilot valued being compassionate above short-term gain. This post was adapted from a section of the book Serve to Be Great: Leadership Lessons from a Prison, a Monastery, and a Boardroom, published by John Wiley & Sons, 2014.